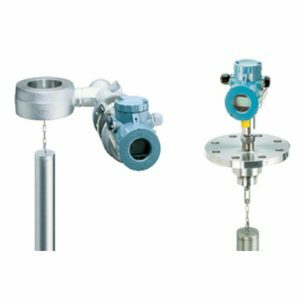 The intelligent transmitter 244LVP is designed to perform continuous measurements for liquid level, interface or density of liquids in the process of all industrial applications. The measurement is based on the proven Archimedes buoyancy principle and thus extremely robust and durable. Measuring values can be transferred analog and digital. Digital communication facilitates complete operation and configuration via PC or control system. The 244LVP measures with consistent reliability and high precision. For installations in contact with explosive atmospheres up to Zone 0, certificates are available. The 244LVP combines the abundant experience of FOXBORO ECKARDT with most advanced digital technology.